Bringing a group of 10 or more to The Playhouse is a super way to have SERIOUS FUN. It’s simple to do, and you save money. If you take the time to get a group together we will make it worth your while. Group purchases must be made through the box office – not online to receive the group prices. At the time of booking your group, a non-transferable, non-refundable deposit of one half of the total amount due is needed to reserve your seats. Your group’s tickets will not be reserved until your deposit has been received. Group discounts are not available if tickets are purchased online. Your group’s final ticket count and balance are due no later than two weeks prior to the performance date (three weeks for bug in a rug performances.) Once your final ticket count and balance are submitted, there are ABSOLUTELY NO REFUNDS AND NO EXCHANGES ON TICKETS! Payments not received by the due date listed on the invoice are subject to cancellation. Group rates apply to parties of 10 or more (25 or more for bug in a rug performances.) If the total number of tickets ordered falls below 10, all tickets will be charged at our full price rate. If you’re interested in extending your fun to our Studio Theatre/Reception Room either pre or post show, we’ll be happy to oblige, pending availability. Why not have a party at Sunset with your group before or after the show? The cost to rent the Marla Eichmann Studio Theater/Reception Room in conjunction with one of our performances is $200.00. Rental includes use of room, catering kitchen, and tables and chairs. All food and tableware are supplied by your group. Sunset will provide a full bar if desired and table linens are available at a low rental fee. The Playhouse will be happy to supply you with information on local caterers and event service providers for any special needs for your group. 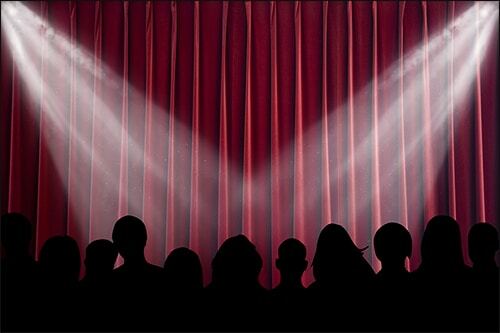 If you are interested in renting our Marla Eichmann Studio Theater/Reception Room for an event that is not connected to one of our performances, please visit the Rentals section of our website for more details. Click here to see more details about our Rentals.